LSS will have the first Steel Challenge Match of 2019 at the Palo Alto Range in Donaldsonville. We are planning on 6 stages of fire. You will need 25 rounds to complete a stage, without a miss, so planning accordingly. All USPSA rules apply to handguns and rifles, as well as rimfire. So, if you want to see just how fast you can shoot, join us for drag racing with a firearm. if you need more information send me a PM here. you can pre register on Practiscore. 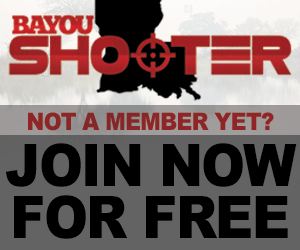 if the match is cancelled due to weather I will put a posting on Bayou Shooter to let everyone know. Sorry guys, I forgot to put date and times. Registration opens at 0800 and we start shooting at 0900. We are normally done well before 1pm. It all depends on the number of shooters we have. We had 40 shooters participate in today’s match. Troy McManus was quickest of all. I would like to thank Annette, Barbra, Elliot and Gary for all the work they’ve done helping, building equipment and taking care of all the little things needed for a match. We also need to give a big thanks to Jim Hall for taking on the most thank job of MD for the last 2 years. We want everyone to feel welcome at our matches and we are looking to bring in more new shooters. This is a good way to get kids started in shooting, since there is very little movement (only one stage has movement) and can be shot with a .22 rimfire gun. Low noise and cost make it a fun match for youngsters.